...based on the Mark Haddon novel of the same name. Tickets will be held at the box office unless otherwise requested. Tickets will be held at box office unless otherwise requested. Fifteen-year-old math whiz Christopher Boone lives with his divorced dad in Swinton, a working-class town west of London. After being falsely accused of killing a neighbor’s dog, Christopher—who is brilliant but has difficulty dealing with the sounds and stresses of everyday life—decides to investigate the crime. The secrets he unearths prompt him to leave his trusted teacher and the familiar streets of his hometown for a life-changing train trip to London. 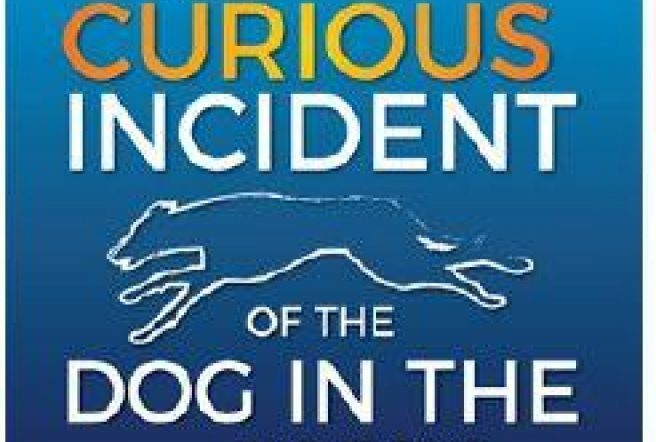 Based on Mark Haddon’s best-selling 2003 novel, The Curious Incident of the Dog in the Night-Time is a thrilling and heartwarming adventure story featuring an unforgettable young hero. This is a local community theater production of the popular Broadway play directed by Josh Dolan-Neill. Sponsored in part by Marshfield Clinic/Security Health Plan.